Maharashtra: Taking stringent action upon violation of no private practice norm, the Medical Education Department asked the Maharashtra Medical Council (MMC) to cancel the licence of the ten medical practitioners. Finding them guilty of private practice. the department has already suspended these doctors. According to the report published in the Mumbai Mirror, 10 doctors may lose registration out of which one is a senior doctor at urology department, JJ Hospital, 6 medical teachers are from Kolhapur medical college and the rest are attached to a Government Medical College in Yavatmal. 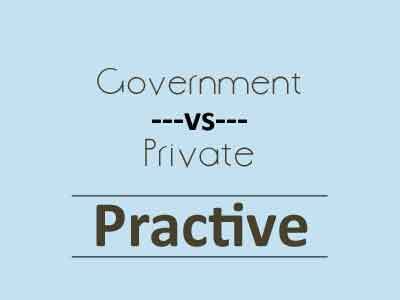 It is reported that doctors working with government hospitals in the state are not allowed to indulge in private practice as per the state government GR of 2008-09. However, in exchange doctors are entitled to a monthly ‘non-practice allowance’ (NPA) of around 35 percent of the salary. However, the MED authorities formed an eight-member vigilance committee after it received complaints about senior doctors associated with 16 medical colleges were unavailable at their designated hospitals. Dr Pravin Shingare, Director, Directorate of Medical Education and Research, affirmed that the complaints stated that only resident doctors were available at the hospitals. To catch the doctors who were indulging in private practice while violating the norms, the committee initiated a series of sting operations. The members of the panel went undercover and posed as patients to collect evidence against errant doctors. Medical Dialogues team had reported about one such sting operation where Sanjay Kamlakar visited the six private hospitals using a fake name and submitted a report mentioning the names of 6 medical teachers attached to Kolhapur Medical College who were found indulging in private practice during duty hours. Further, the dean of the Kolhapur medical college was also suspended in the matter on grounds of providing misleading information to the government. Shingare further added that the medical education department’s request was taken to the MMC was taken after directions from Medical Education Minister Girish Mahajan and Medical Education Secretary Sanjay Deshmukh.